KLD Masonry & General Construction, Inc. Comment: Snow removal on city street in front of my house. Comment: two cars garage and little walkway on both the sides. ABC Landscaping & Lawn Care, Inc. Snow Paw Lawn & Landscape Co.
Allentown Snow Removal Services are rated 4.91 out of 5 based on 119 reviews of 12 pros. 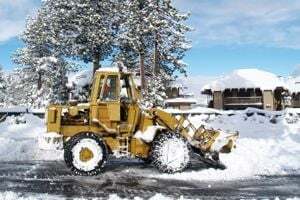 Not Looking for Snow Removal Service Contractors in Allentown, PA?